Upon her 2004 debut, the 151,400-ton Queen Mary 2 was the largest cruise ship in the world. Today, she is still among the world's most massive ships, and features a number of unique on board amenities. For instance, Queen Mary 2 is home to the largest ballroom at sea, the only planetarium at sea, the largest library at sea, as well as a 20,000-square foot spa, salon and fitness center. This feature-packed ship provides a fantastic setting to enjoy Cunard Line's renowned White Star Service! Cunard is always looking to improve its standards of luxury, and during a 25-day dry-dock spanning May - June 2016, Cunard's iconic flagship was remastered. These additions include a complete remodeling of all suite staterooms, new carpets, furnishings, and reconfigured restaurants! One of the featured transformations is the conversion of Queen Mary 2's Winter Garden into a refreshed and versatile new venue called the Carinthia Lounge. The Carinthia Lounge offers a dedicated patisserie, an afternoon tea service, and an optional special Veuve Cliquot Champagne Afternoon Tea experience. In the evening, guests can enjoy premium wines and relaxed entertainment. The Lounge's decor highlights a fresh color palette of powder blue, cream, and gold as well as being outfitted with a wine wall, vertical metal Art Deco-inspired screens, and a dark walnut timber dance floor. Queen Mary 2 can be found cruising throughout the world. 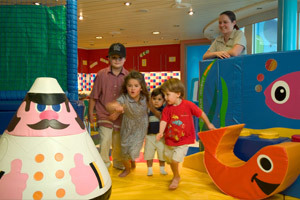 In fact, this ship does a full world cruise spanning over 100-nights in length. 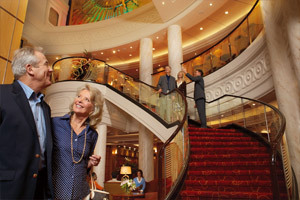 Much shorter cruises are available, such as 2-night European getaways. Also available are 7-night and longer Europe cruises, and a large selection of Cunard's popular Transatlantic voyages (typically sailing between Southampton and New York). 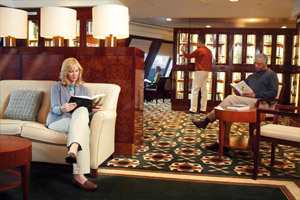 There's plenty of interesting public spaces scattered throughout Queen Mary 2. 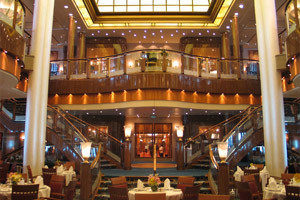 For instance, of the ship's many bars and lounges standouts include Churchill's Cigar Bar, the Commodore Club (a piano bar), Golden Lion Pub (featuring darts, karaoke and ale), Sir Samuel's Wine Bar, Veuve Clicquot® Champagne Bar, and G32 (the ship's nightclub, featuring a DJ and live band). 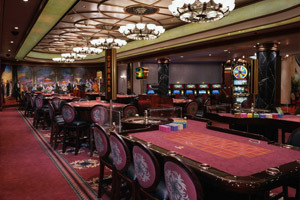 Other places of interest include the large Empire Casino, the Canyon Ranch SpaClub (see below for details), a huge library that houses over 8,000 books, swimming pool, whirlpools and sun deck. 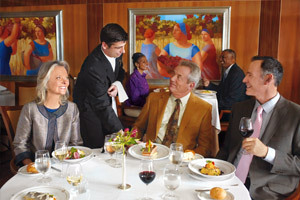 In all, there are 10 dining venues available on board Queen Mary 2. The main dining room that a guest is assigned to depends on the type of accommodations they're booked in. For instance, guests booked in a Queens Grill accommodation get to dine at the single-seating Queens Grill restaurant, while guests booked in a Princess Grill accommodation dine at the Princess Grill, providing a truly fine dining experience. Club Balcony (category AA) guests are able to dine in the Britannia Club Restaurant, featuring a la carte selections in addition to the standard dining room's offerings. 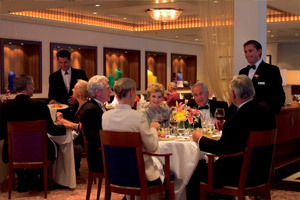 All other guests are assigned to the large Britannia Dining Room, which serves a fantastic multi-course meal on each night of the cruise. Kings Court is a more casual venue, open for all three meals of the day. Room service is a convenient option that's available to all guests 24-hours a day! 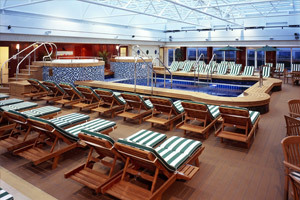 While on a Queen Mary 2 cruise, guests have the opportunity to enjoy this 20,000-square foot health club. A wonderful variety of spa treatments are available at the Canyon Ranch SpaClub. Among the possibilities are massages (including stone massages), facials, body wraps, a Rasul Ceremony, as well as the AquaTherapy Centre. Salon services, such as pedicures, manicures, hairstyling and makeovers, are also available. Within the Canyon Ranch is the ship's well-equipped fitness centre. 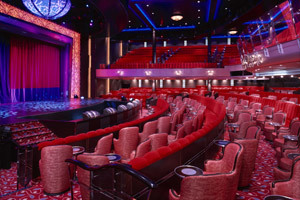 One of the main entertainment venues aboard Queen Mary 2, this large venue features a variety of live performances throughout each cruise. Possible shows include elaborate Broadway-style productions, comedians, acrobats, singers, magicians, dancers and even game shows. London's prestigious RADA (Royal Academy of Dramatic Arts) performs staged musician productions on many Queen Mary 2 cruises. 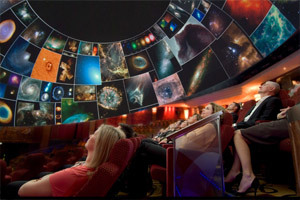 A truly unique area on board Queen Mary 2 is the ship's full-scale planetarium, showing exciting and interesting features such as rides through outer space. This venue also functions as a cinema and lecture hall. 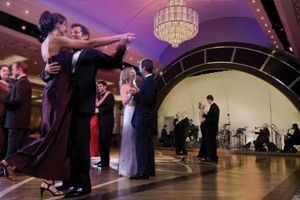 Spanning the full width of Queen Mary 2, the Queens Room has a large dance floor, double-height ceilings and multi-tiered seating, and is the setting for daily Afternoon Tea, ballroom dance classes, bingo, and Cunard's signature Royal Nights balls (which are themed balls, such as the Ascot Ball, Black and White Captain's Ball or Pirates Ball). In all, many guests spend a significant amount of time on their cruise at the world's largest ballroom at sea. An optional specialty restaurant available on board Queen Mary 2, Todd English is the creation of celebrity chef Todd English. Featuring fantastic Mediterranean cuisine, this venue offers guests a multi-course menu and superb service. A per person cover charge is imposed on those that opt to dine at this venue. Low Price Guarantee on all Queen Mary 2 Cruises! Book any Queen Mary 2 cruise with us and you'll get the best deal possible, regardless of the ship or sail date! 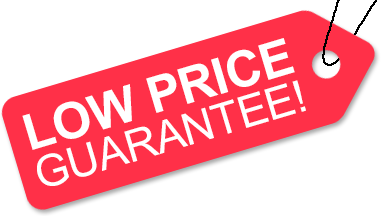 Because of our "Low Price Guarantee," nobody beats our Queen Mary 2 prices, so look around and you're sure to find the best Queen Mary 2 cruise deal possible when booking with us! 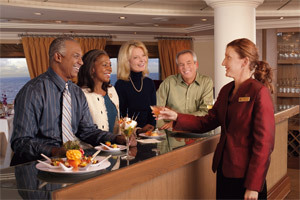 Pre-Paid Gratuities on Queen Mary 2 Cruises! Onboard Credit or Cash Back on Queen Mary 2! Get an Onboard Credit or Cash Back when you book a Queen Mary 2 cruise with us. The value depends on the particular cruise and accommodations you book. Values are listed on Step 3 of the online booking process. We do not charge booking fees on any cruises! You're sure to enjoy an affordable Queen Mary 2 cruise when booking with us! Our special offers on Queen Mary 2 cruises may not be combinable. Certain restrictions apply to each offer. View terms and conditions during the online booking process. Click a price below to view the Cunard Queen Mary 2 cruises during that month in that destination. All staterooms aboard Queen Mary 2 feature: 24-hour room service; Interactive TV with multi-language film and music channels; Direct-Dial telephone & data port outlet; Refrigerator, safe, hair dryer; Bathrobe & slippers; Nightly turndown service with pillow chocolates; Daily shipboard newspaper; 220V British 3-pin and 110V 2-pin sockets. Queen Mary 2's Grand Duplexes are the most lavish suites afloat. Downstairs offers an expansive living room, oversized balcony and a marble bathroom with shower. Upstairs, the bedroom includes a separate marble bathroom with whirlpool bath, bidet and seaview window. Offer an expansive living room with upstairs bedroom, oversized balcony, two marble baths with separate whirlpool baths and showers. The Queen Anne and Queen Victoria Suites offer commanding views off the bow of the ship. Living and dining area. Bedroom with master bath features shower and separate whirlpool bath, second bath with shower. Living and dining area with large balcony. Bedroom with master bath has a shower and separate whirlpool bath, plus a powder room. Watch the world go by from the balcony of these luxurious Grill Suites. Spacious living area, dressing room and bath* with a whirlpool bath and shower. *Q7 Suites are wheelchair accessible and include a bathroom with shower instead of bath. The lovely Princess Grill suites feature a sitting area, large balcony, full bathroom with bath and shower, separate bar and walk-in wardrobe, too. Britannia Club Balcony Staterooms offer a panoramic glass balcony, with loungers and tables. King-size bed may be converted to twins and a dual height coffee table may be used for en suite dining. Staterooms are graced with enhanced amenities including a special invitation to the Grills Captain’s cocktail party, luxurious terry bathrobes, upgraded linens, sparkling wine, and access to Cunard Line's famed Pillow Concierge. 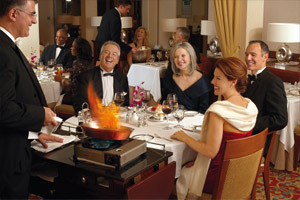 Guests dine in the intimate single-seating Britannia Club, which serves special a la carte specialties. These accommodations feature a panoramic glass balcony with loungers and tables. King-size bed may be converted to twins and a dual height coffee table may be used for en suite dining. Balcony Staterooms including a panoramic hull balcony with loungers and tables, referred to as a Sheltered Balcony. King-size bed may be converted to twins and a dual height coffee table may be used for en suite dining. These staterooms provide spacious comfort with king size or twin beds. These staterooms provide spacious comfort with king size or twin beds, and a picture window overlooking the Grand Lobby. These staterooms provide spacious comfort, with king size or twin beds. These staterooms provide spacious comfort, with a king size bed and an oceanview. Single occupancy only. 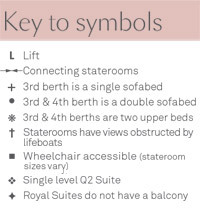 The deck plans of Queen Mary 2 provided on this page are subject to change. We reserve the right to correct errors. Please verify all information with Cunard Line directly.